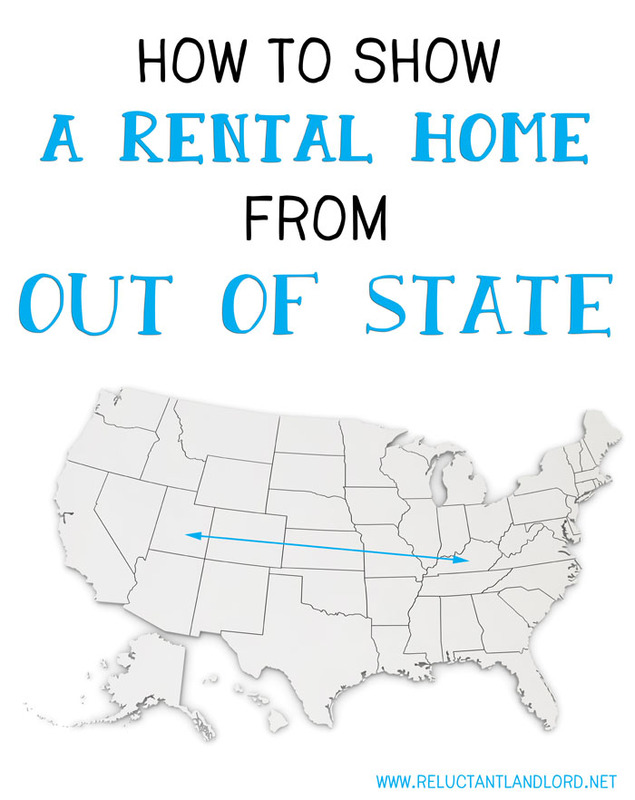 One of the trickiest things to managing out of state without a management agency is showing the house. I have so far been able to get around this problem with some great friends and tenants. Through trial and error, I have created a great process that has really worked well to date, while limiting the burden to my helper or tenant. This lowers the stress for me while preventing too many cooks in the kitchen. Create the posting using Postlets and other marketing sites. Speak to all potential applicants and answer all correspondence regarding the home. Schedule showings/set expectations – I schedule based on the provided times by the helper. I also explain the situation, that I will be unable to show the house. Therefore, a friend will be in my stead. I ask that they save all business questions for me out of courtesy. Follow up with all tenants and prospective tenants. If they wish to proceed, I handle all of the proceeding paperwork. Provide dates/times they will be available. Be available to answer the door. Answer questions about neighborhood/area if they wish. The key is to only use your friend, tenant, or helper to open the door. You really want them to be responsible for nothing else. 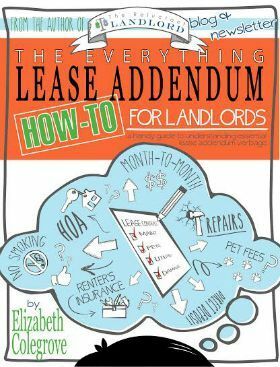 Remember you are the landlord and property manager, not them. In the beginning, I was going to have an “unlicensed” friend be my property manger. This was a really bad idea for two reasons. First of all, it’s against the law, and if that isn’t reason enough it’s also stressful. In the long run, I found that I was still fixing all the problems because before my friend could do anything she needed my permission. After that experience, it made more sense to work really hard to get all of my efficiency processes in place so that I could use another body as little as possible. Don’t get me wrong, though, my friends and tenants are my biggest assets. You would be surprised by the number of people who are willing to come to your assistance in a pinch. The key is to minimize these pinches so it becomes even less stressful. The other thing that makes life much less stressful on all sides is to set expectations. If you ask someone an open question such as, “Are you willing to show the house to all prospective tenants?” that can be very stressful to the recipient. They don’t understand what is fully being expected of them and that can lead to issues down the road. I am pretty specific with my needs. I give them 24 hours notice and try to set a time period only once a week where they show the prospective tenants the home. I then schedule the tenants every 15 minutes. People are always late and this covers the no-shows, etc. This also prevents people from wasting other people’s time. It has worked really well for me! How have you handled being in two places at once, especially when you are out of state?